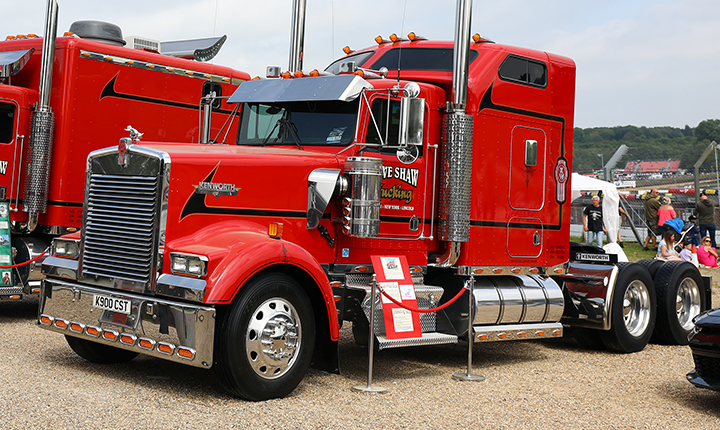 You'll get behind the wheel of a genuine US Kenworth truck for a spin round our famous Grand Prix loop before performing a three point turn and returning to base - all for just £25! Passenger rides are available for £8.50 too and all proceeds will be donated to charity. We've teamed up with Clive Shaw Trucking for this incredible experience and we expect places to sell out fast so make sure you book early - email cliveshawtrucking@hotmail.com to reserve your seat! If off-roading is more your thing, the Jeep Owners' Club is bringing along an array of vehicles in which you can tackle our purpose-built course. For just a £5 donation to Kent Air Ambulance, you'll get a chance to see what these incredible 4x4 vehicles are made of. There's no need to book, just head to the pick-up point in front of Hailwoods restaurant. Fans of high-rise thrills can belt up in the back of the Red Dragon Monster Truck for a crushing experience as the huge wheels trundle over the mangled metal of cars below - a ride not for the faint-hearted! And for those who prefer to watch the action rather than get involved, we've got some fantastic stunt shows and drifting demonstrations in our live action arena. Team Maximum Lock will travel from Malta with a brand new stunt show for 2019, while American muscle cars will perform burn-outs and lowriders will bounce and hop in a truly jaw-dropping display. The weekend features track action from the NASCAR Whelen Euro Series, plus live music, US food, heaps of display cars, kids' entertainment and more! Adult weekend tickets are £33 in advance and kids under 13 go FREE! For more details and to book, click here.